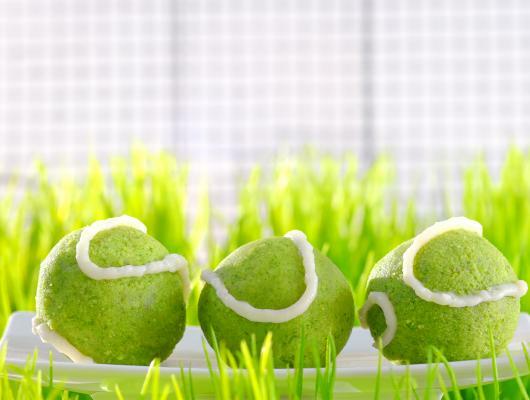 You can keep fit and healthy running after real tennis balls, and also, with our nutritious edible version. 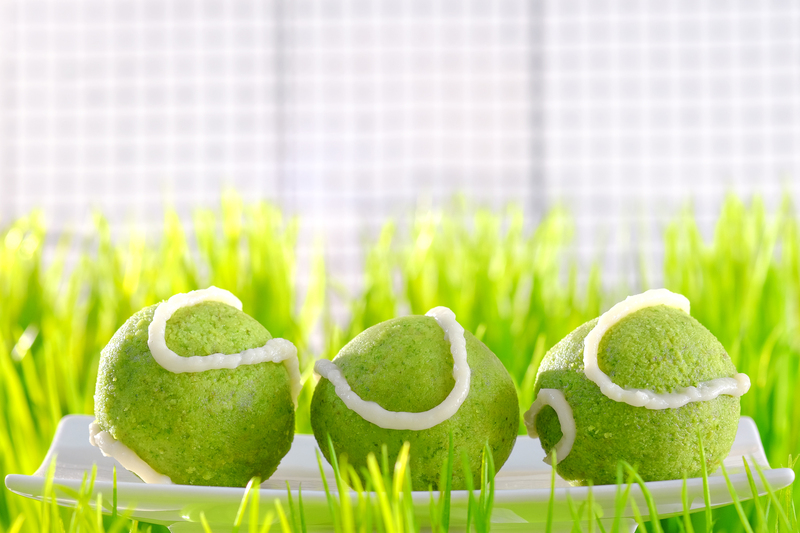 Eggs contain an essential nutrient that is gaining a resurgence in the nutrition world, the nutrient is called Choline. Scientists in the mid 1800’s discovered that the molecule, Choline, in the yolk of eggs was exactly the same as a substance, ‘Neurine’, in our brain. Choline plays a key role in human cell health, nervous system activity and development, liver function, early growth and development (it is important for pregnant women to eat choline-rich foods). Spinach is rich in iron, this is important for red blood cells which help in the transportation of oxygen around the body – essential for all that running around. Take advantage, serve and then, love all!